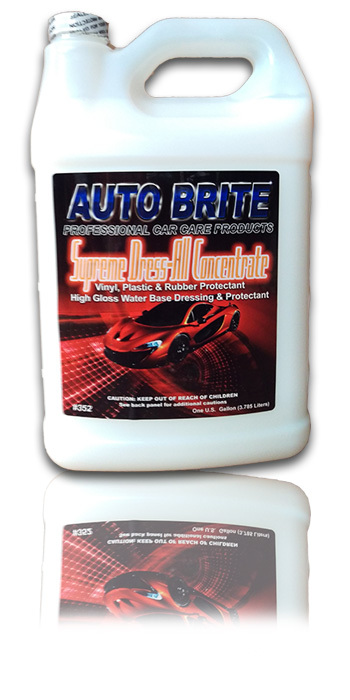 SUPREME DRESS-ALL - is an all purpose water based silicone dressing for interior and exterior. Dilutes and makes five gallons of product. Restores shine to vinyl upholstery trim, dashboards, air vents, tires, rubber moldings, vinyl tops, tires and more.